In reviewing this book, I cannot help but share a bit about the storyteller as who he is leaps off of every page in a humble, open, sincere and unassuming way. No different in real life, Tony has a profound gift of engaging the heart, inspiring reflection and engendering friendship. Through his eyes we glimpse the lost, lonely and forgotten and through his words we are invited to see ourselves in each of these. 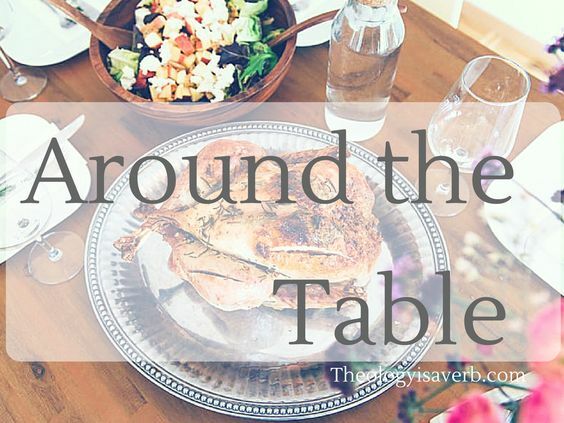 Whether close to home, at table with our families, in our daily interactions with others or in a prison cell… grace is a chosen gift to accept. As Tony illustrates, grace touches not only the ones we are moved to be attentive to but it can renew our faith, restore our relationships, and change the course of our very lives. What is remarkable is that when encountered, grace seeks not to occupy a corner of our hearts but to consume it entirely. Through prison and homeless ministry, Tony relates time and again our innate need to feel loved, and be reminded of our self worth despite the circumstances we might find ourselves in. Grace calls our name, and provides the reassurance that God loves us regardless of the past and ushers in the hope of change. Within the family, Tony is key to point out the cultural influences of today that pull us away from deep conversation and allow us to settle for shallow waters of accommodation. Sacrificing both quantity and quality of time we far too often miss out on the numerous grace filled moments that God desires to bless our lives with. And in prizing our own idea of self we neglect to honor or claim who God has created us to be in our varied vocations. To this Tony is not remiss in offering a bit of well earned and honed wisdom from the challenges he too has faced in life. Yet, more than a prescription, A Storyteller’s Guide to a Grace-Filled Life invites the reader following each story to reflect on their own joys, sorrows, weaknesses and gifts to discover or re-discover grace. For grace does not expire, or cease but simply awaits our response to more fully be who God has created us to be. And our unique stories, as Tony so beautifully remarks not only “forms the fabric” for our understanding and struggles in our lives but also “become the glue that connects each generation to the next”. 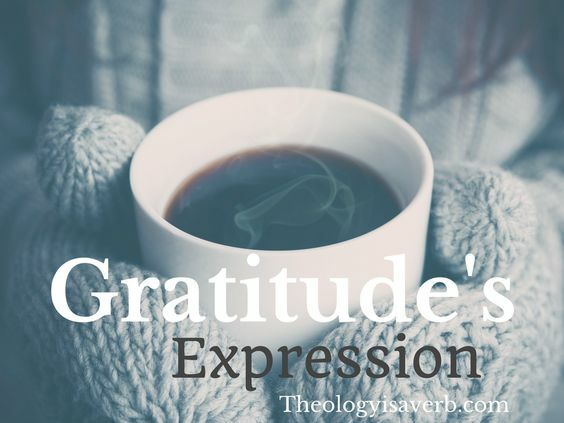 A word of gratitude to my dear friend and fellow Catholic blogging evangelist Tony Agnesi who continues to share his “Grace-Filled” journey with the world. You are such a bright ray of hope and grace…Thank you for letting your light shine! To hear an on-air conversation between Tony and I through An Engaging Faith, available on podcast tune in here . I would venture to say that both the strength and weakness of Aquinas can best be understood in light of how he believes knowledge is acquired about God and his creation, the body and soul, and the part that our grace plays through it all. For Aquinas, much like Aristotle, much knowledge is gained by observing the world through our senses and compartmentalizing its importance by reason. Nevertheless, while there are subjects that we learn through reason, there are others that we understand only through divine revelation, and still yet concepts that require both. When we look at the world in God’s creation we are able to see beauty, wisdom, being and goodness.This notion that our bodies are not evil but through our senses we are able to understand God’s creation and, in part, knowledge of the existence of our Creator is a strength for Aquinas. We look at creation and understand the material that comprises it (clay), and in what shape it is in (pot), understand something about the creator who made it (potter), and ultimately the purpose for which it was made. However, although this allows us to know aspects of God, Aquinas concedes that human reason is still limited in fully comprehending God’s magnificence. Aquinas noted that “while a philosopher can show that God exists, he doubted that reason can tell us much about God’s nature…only what He is not.”  Aquinas consequently argues that human reason must be met with God’s revelation of himself simply to understand his existence. Therefore, since they both come from God, reason and revelation do not oppose each other, but supplement each other  . Further, Aquinas’ argument that some truths are only known by revelation from God, would also suggest that there are truths which will not be understood by those who do not believe in God. Hence, “the way in which we understand the substance of a thing determines the way in which we know what belongs to it” (Contra Gentiles 3, 3, 3) Those who do not believe in God, therefore will not accept divine truth and will look to society to explain the truths in the world. Thus, a salvific grace is “added to those of nature in such a way that it does not destroy the latter but perfects”  . 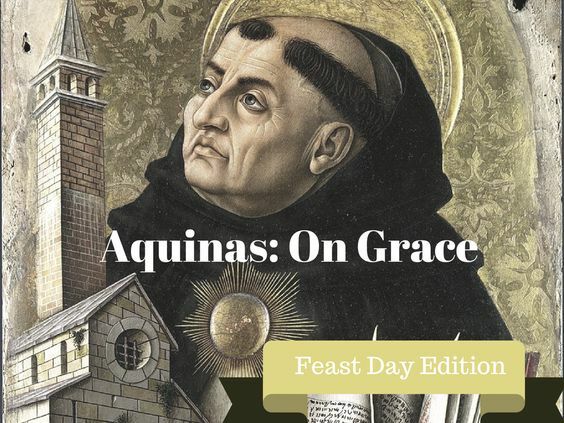 On this idea of grace and the remission of guilt Aquinas notes, “Now the effect of the divine love in us which is taken away by sin, is grace, whereby a man is made worthy of eternal life, from which sin shuts him out. Hence we could not conceive of the remission of guilt without the infusion of grace” (Summa Theologica II, 113, 3). Rather, because of sin, we cannot grow closer to God without the added grace to know and love God. 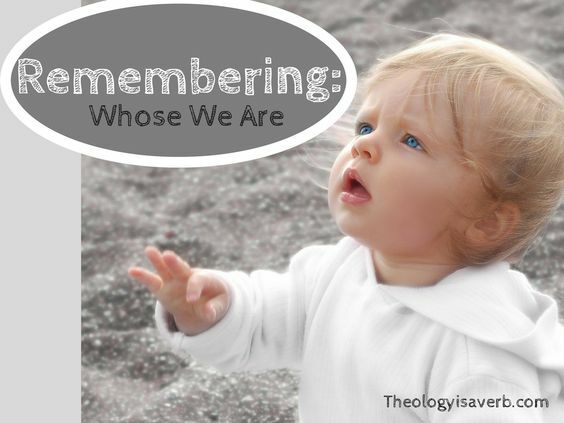 It is important to recognize that the saints, much like you and I, were working out just who God is and how we come to know God in their own lives. Each one of us is invited to do the same, which in some ways unique to just who God created us to be. 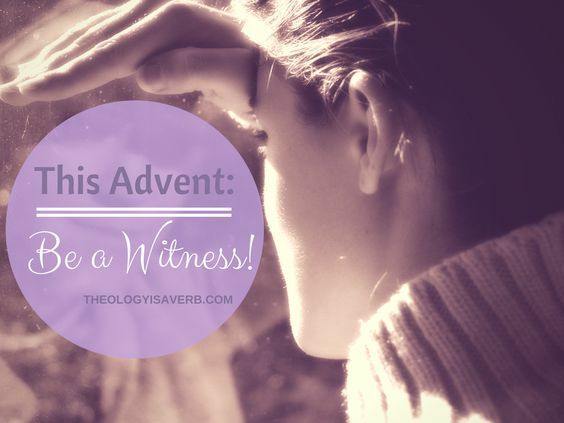 Who is God in my life today? What do I find moves my soul closer to God? What place does reconciliation play in my journey with God? Placher, William. (1983) A History of Christian Theology: An Introduction. (First Edition). Westminster John Knox Press. p.152. Kerr, Hugh. (1990) Readings in Christian Thought (Second Edition). Abingdon Press. p. 119. Russell, (2012) Christian Doctrine Trinitarian Controversies, [Power point presentation]. Loyola University, Chicago, IL. Kärkkäinen, Veli-Matti. (2010) Holy Spirit and Salvation, Westminster John Knox Press, p.148. New year’s resolutions and Lenten commitments have one important common thread, they are only as effective as they are intuitive about the strengths and weaknesses of the individual. For this reason, neither can be a one size fits all and both need to strike a balance between being challenging and in some degree feeling achievable. For instance, setting a goal of running a 5k would not be a worthy goal for a marathoner, and running a marathon would not be a realistic goal for someone who has never ran around the block. A primary difference, of course, rests in where we seek strength and desire to follow through with these commitments. For the Christian, there is a fundamental understanding that the path of discipleship and virtue is not a solitary one. Through Christ, however, there is both strength and guidance at the ready to lead us to God’s will to becoming the best version of ourselves. In conversation with a friend of mine recently, a retired corporate HR director, the idea of personality and leadership traits came up. Many of us have taken personality assessments like the Myers Briggs, the Big 5 or emotional inventories. While these assessments are far from perfect, they can give us a glimpse into how we perceive our strengths and weaknesses and react in various situations. This is not only beneficial for understanding ourselves but also in how to understand and work better with others in community. I just so happen to be one who enjoys drawing out the introverted, sitting beside the wounded, communicating one on one or to a crowd, diplomatic but not afraid to stand up for what is right or see things through. Yet, on the flip side I have been known at times to spread myself too thin, be overly self-critical, and take on other people’s problems as my own. Delays due to indecision, and multiple projects left incomplete can frustrated me. 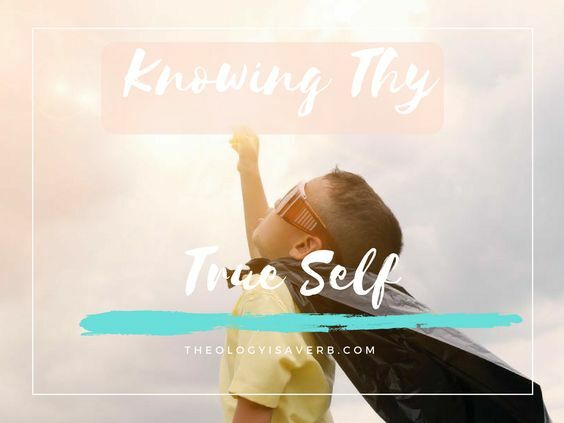 Self awareness has been invaluable in discerning God’s will in my life, while also helping me to step back and reflect on how best to inspire others to learn and grow too. As Catholics, the exercise of our faith is never separate from the larger community even when living a cloistered life. And the living out of our truest best self is always a choice. One that we can disguise, or utilize in our daily interactions with others. Though, as Merton would note, if we ignore who we are at our core we “cannot expect to find truth and reality whenever we happen to want them.” Likewise, when we live indifferent to others and their inherent values, we fail as well to fully seek the truth about ourselves. When we experience conflict, it not only speaks to the the behavior and inner self of others but to our own sense of identity. Conflict, therefore, has the potential to be interiorly revealing if we allow ourselves to ask two seemingly simple questions. Why it is this situation troubling in the first place and what would be necessary for interior or exterior balance? To this point, the saints were not considered so because they lived lives of perfect peace perfectly. But rather, in the midst of conflict the saints sought to know God, to know themselves and live their truest self in the world around them. In what situations in my life am I making the choice to be untrue to myself and in my relationships with others? 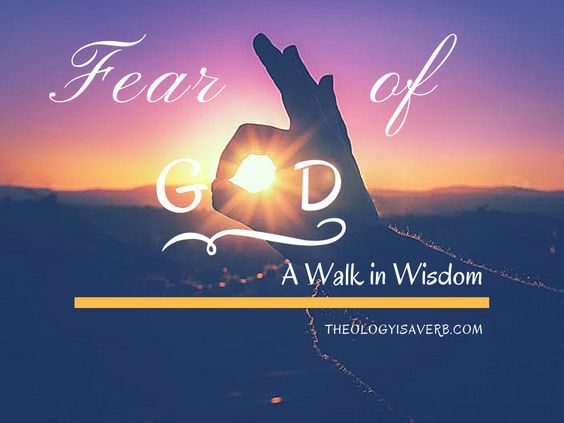 What do the conflicts in my life reveal about myself and where might God be asking me to grow? With the approach of the Epiphany (Matthew 2:1-12), we behold quite a scene- one of perceived royalty and the other of unassuming divinity wrapped in swaddling clothes and laid in a manger. And here, this quote by St. Gonzalga finds its resonance, revealing a profound truth of the nativity story. For regardless of worldly stature or knowledge, the maneuvers by peasants and kings alike are guided by the promised birth of a savior. King Herod, was the proclaimed king of the Jews, and yet his Idumean family had been forcibly converted to Judaism. Herod was known to play both the Romans and the Jewish leadership against the other holding no real allegiance other than to money and power. Thus when the Magi asked “Where is the newborn king of the Jews? ” That in itself spoke to their recognition of just where legitimate power truly rested, and to whom they wished to pay homage. Couple that with the astronomical occurrence of a star foretold in Numbers 24:17, and promises in Micah 5:2 and Isaiah 7:14 of a child to be born and Herod had good reason to be concerned. The Magi, perhaps more accurate than the term “wise men”, alludes to their knowledge of the movement of the stars and position as Persian priests somewhere in Babylon or Arabia. Was it mere curiosity that carried them from their lands across the desert or was it more than that? They are aware of the prophesies and scriptures accompanying the signs, so we trust that they have knowledge. Is theirs a “faith seeking understanding” as St. Anselm proposes? 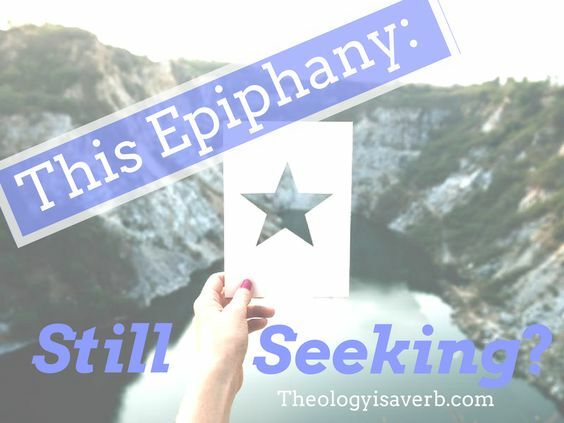 Have they sought God through self-knowledge and now seek God’s revelation of himself trusting that it will be affirmed under the light of the star? Up to this point, as St. Augustine would assert, though full of worldly wisdom they had yet to even understand themselves fully until they came to encounter and know God. What is intriguing about this consideration, and their inclusion in this story is that the Magi were gentiles. And while the Jewish priests and scribes were well versed in the scriptures and could inform Herod, they are seemingly disconnected from its fulfillment. The faith of the Jewish leadership appears content in its present knowledge, and either no longer seeking greater understanding or for its fulfillment to occur differently that they had preconceived. Their idea of a messiah was a political leader who world provide transformation in the eyes of the rest of the world not in their own lives. This is a reoccurring theme in the Gospels, and early church. Though initially beginning with the Jews, time and time again the Good News would also be extended to the Gentiles. Was this a conversion for the Magi, we do not know. Yet, these men left behind their lives in pursuit of understanding, and humbly acknowledged the king of kings that day. One can only wonder how their faith journey continued as they returned home. Am I still desiring greater understanding in my journey with God? Or do I feel that I have my place in this world and God all figured out? Today, I’d like to invite each of you to consider if your spiritual contentment could actually be keeping you from growing closer to Christ. Maybe, just maybe, God is asking you to leave this safe space to journey with him… to discover the “more” that he has to offer. To seek the God…who is forever faithfully seeking us! Today’s Gospel reading, if only taken on its surface, can leave us with a challenging understanding of God and his expectations of us. After all, didn’t the servant with one talent return his loan in full? And why were some given more to start with? Perhaps the servant with one talent might have invested some if had the security of a reserve. Yet, as per usual, Jesus is revealing more about what is possible with God than what we could ever do on our own. First, we see that each servant was given talents “according to his ability”. Our Father who knows both our strengths and limitations isn’t going to give us more than we can handle. Rather, he recognizes where each of us are in our journey and gives us the tools and support to do the work ahead. So, the servant with one talent did have the ability, but lacked the trust in God to go any further. Not only could he not advance the kingdom, but he was unable to grow in relationship with his master. But what about the other two servants, what can be learned from them? Each had been given a portion to use, and both in trusting in God’s provision had doubled the gift. I am reminded here of 2 Kings, in Elijah’s utmost desire to inherit a double portion of the gift of the Holy Spirit which Elisha had. Elijah wasn’t seeking a talent for his own purpose, nor was he asking for simply a change in leadership responsibility. In asking for a double portion, he was asking to be given more responsibility and expressing his conviction in God and dedication to the task. 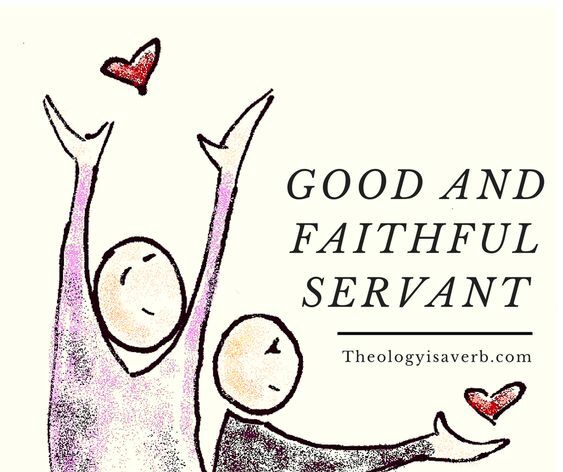 This is what the other servants did and their reward was God’s recognition of their faithfulness and confidence that they were now ready to accept more. Do we yearn to hear these words in our journey as disciples? Or are we content to simply return the gift unopened for fear of failure in the tasks ahead? Much of my work as director of ministries, is to help those I encounter to discover just how their gifts can be used in the work of the kingdom. And to date, I have yet to find anyone who is without a talent.. though perhaps a bit unused. Are there unused talents that I am failing to recognize or use today? How might I better trust in God that he will use my gifts to build his church in the world around me?